On the one hand, the SEGLER name stands for conveyance, but at the same time also reliability. It is this balance which has been the basis for our success for over 100 years: Constantly re-inventing oneself without departing from the core tenets and values of the company. Being open to new things and reliability are things that we not only wish to live up to when dealing with our business partners, but in particular also with our employees. That is because they are the most important pillar on which our performance is built. Our employees thank us for this with their long years of service. 40-year employee anniversaries are a common occurrence at SEGLER. 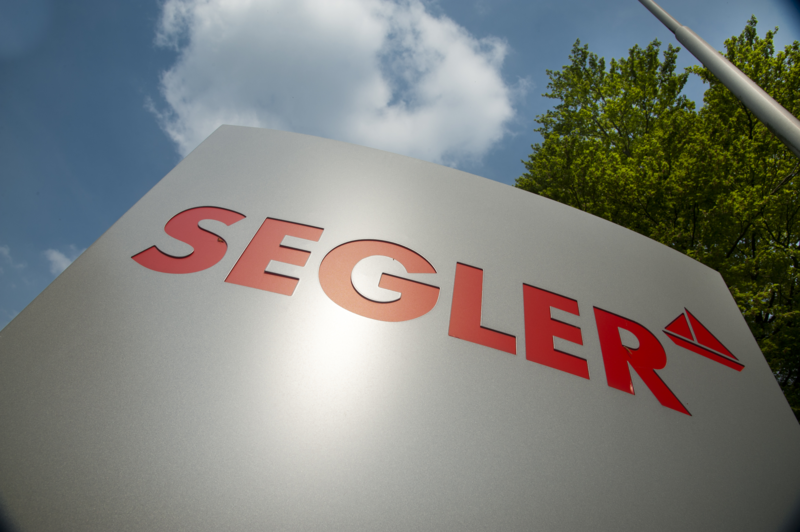 SEGLER is a family-owned company in its fourth generation. Hence, for us, working at SEGLER means adhering to inalienable "family" values which are reflected in our day-to-day work: Taking responsibility, being able to rely on each other, and respectful collaboration. The family-friendliness is also reflected in e.g. the fact that we work together with our employees to find the ideal working relationship depending on their family situation, such as part-time positions, flexible working hours, or where possible also home office/telecommuting arrangements. Just as our products, corporate processes, and structures change, we also require our staff to keep abreast of new developments. Depending on goals, strengths, and weaknesses, we collaborate to implement measures which help individual employees, the team, and the company to progress. Examples include internal (e.g. technical) training courses, external further education courses, advanced training, where applicable degree courses, master schools etc. Whether in production halls or in offices, our employees get a lot done each day. In order to maintain the cheer and performance of all team members, SEGLER provides a number of offerings for promoting health. Our workforce is characterized by a strong team spirit — across all departments, age groups, and specialist backgrounds. This interdisciplinary collaboration and a common understanding are the basic prerequisites for our ambitious actions. This amicable understanding is also reflected by a high number of employee activities even outside of work. Our employees get to choose between 2 menus for lunch at a small price. During their lunch break, a large number of colleagues meet in the canteen and enjoy their lunch together in a convivial atmosphere. The food is delivered by the Heilpädagogische Hilfe Bersenbrück (->https://www.hph-bsb.de/), which also provides food for the Oberschule am Sonnenberg high school in Berge. Even though we are active around the world, SEGLER is a company with strong regional roots. For example, we collaborate with the Oberschule am Sonnenberg high school in Berge as well as the University of applied sciences in Vechta, Germany (FHWT). We are an association member of the Berufsakademie Oldenburger Münsterland university and a (founding) member of the German Institute of Food Technologies (DIL) in Quakenbrück, and also represented in the Wirtschaftsförderung Landkreis Osnabrück (WIGOS), a business management consultancy. Maintaining close contact with local companies and associations is just as much a matter of course for us as our social involvement in the region. The company headquarters in Berge are located in the Osnabrück district, placing it in the northwest metropolitan region, a flourishing economic area with a high employment rate. The heart of the German food industry is located in this district, and machine engineering, renewable energy, agriculture, and logistics companies also have a strong presence here. Located in the direct vicinity are the cities of Osnabrück, Oldenburg, Bremen, and Lingen with their attractive city centers and many social and cultural offerings.